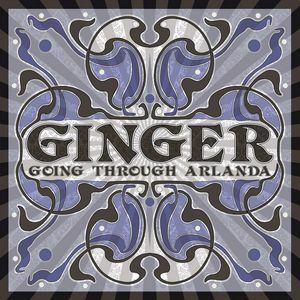 Ginger - "Going through Arlanda"
Switzerland blues jam band Ginger have released their first studio CD after releasing one EP and various live CDs. This release is on CD and also 160 gram vinyl in a gatefold sleeve. The CD features 7 tracks in 48 minutes and quite a diverse range of stuff. The CD begins with T-10, an 11 minute very cool piece of music that slowly builds up and is one of the more spacey and psychedelic tracks on the CD. Who Are You is a short 4 minute track that starts with acoustic guitar and a hand shaker. It is a quite melodic track that rocks hard and is a bit bluesy. Flesh and Skin is a killer track that starts with some spacey guitar and builds as both guitar players play noodly stuff and Arie plays some really cool bass. Great song. Raja is a 5 minute track that starts with a sitar like guitar sound (no one is credited with sitar on the CD). As a Raja, it slowly drones and builds and then the guitar is almost ska like and the trumpet solo kicks in and really takes you by surprise. Crosstown Bar Blues is a great 9 minute blues track with some killer solos. Rosie's is only 3 minutes and also very bluesy and to the point. Drive Baby is a more uptempo track with some great psychedelic guitars to end this very good debut CD/LP. One very interesting thing with this band is that one of the guitar players also plays trumpet and sometimes it is pretty cool and fits in well but other times it just sounds a little strange. The guy is not a virtuoso by any means but plays it pretty simple. Some will like it and some will not. Anyway, if you are fans of psychedelic blues rock, you will for sure dig this great Swiss band. Catch them live if you have a chance as they are really excellent.